I'm in my mid 50's now and I declared war on aging a few years ago. I feel it's my duty and obligation to share good products with my readers to assist them along the battlefront as well. 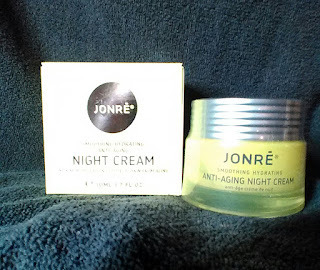 JONRE' Night Cream is very beneficial for your skin in several ways. It contains Shea Butter, Jojoba & Macadamia Oils,and Plant Glycerin. These are all highly effective in hydrating your skin. It has enriched antioxidant properties from ingredient such as Pomegranate Oil, Kiwi, and Vitamin B5, these all aid in nourishing your skin. 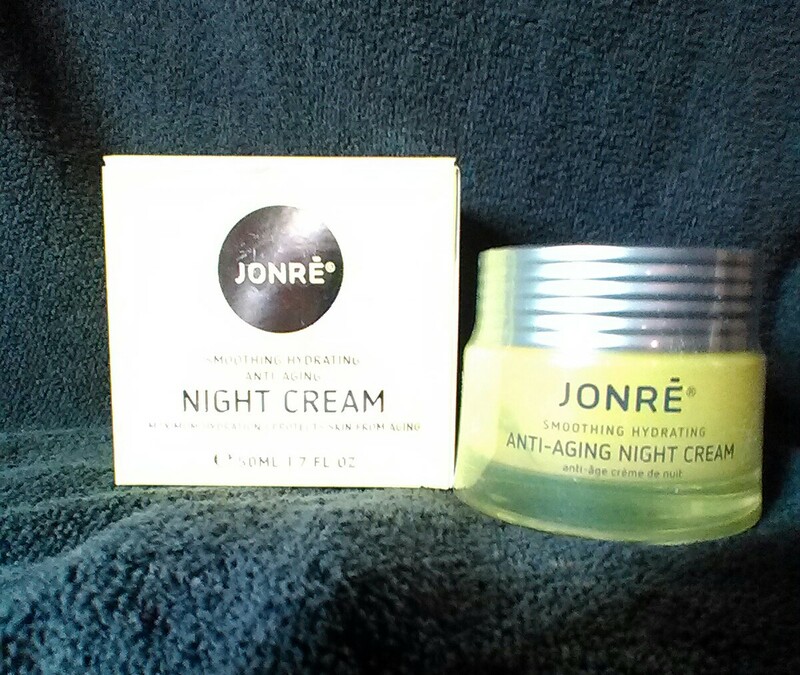 JONRE' Night Cream is so easy to use, just apply to freshly washed face and neck each night before bed and wake up to moisturized, fresh looking skin. This product really helps to battle wrinkles, tighten saggy looking skin and even your skin tone and lighten brown age spots. 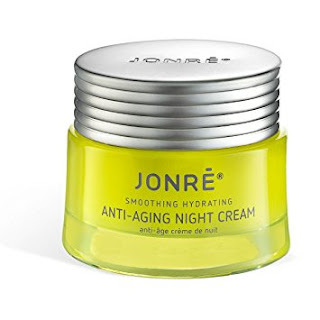 I really like that it's non - comedogenic , which means that it doesn't clog your pores. It has a non-greasy feel and absorbs quickly into your skin.